She's the highest earning person in reality TV. And now Kim Kardashian is taking her turn as a talk show host. 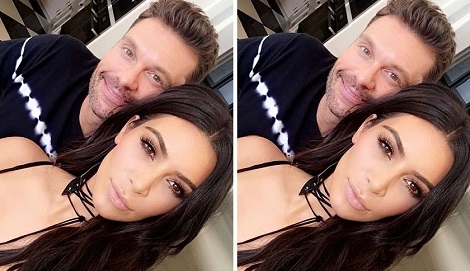 The selfie queen is set to join Ryan Seacrest on ABC's Live With Kelly And Ryan on August 28 where she'll temporarily step in for longtime favorite Kelly Ripa. This isn't the social media mogul's first time on the AM show. Back in 2012 Kim teamed up with the blonde hostess and wife of Mark Consuelos while Seacrest was away. The August episode is a must-watch event, with Kim planning to dish on the upcoming season of KUWTK and her family.